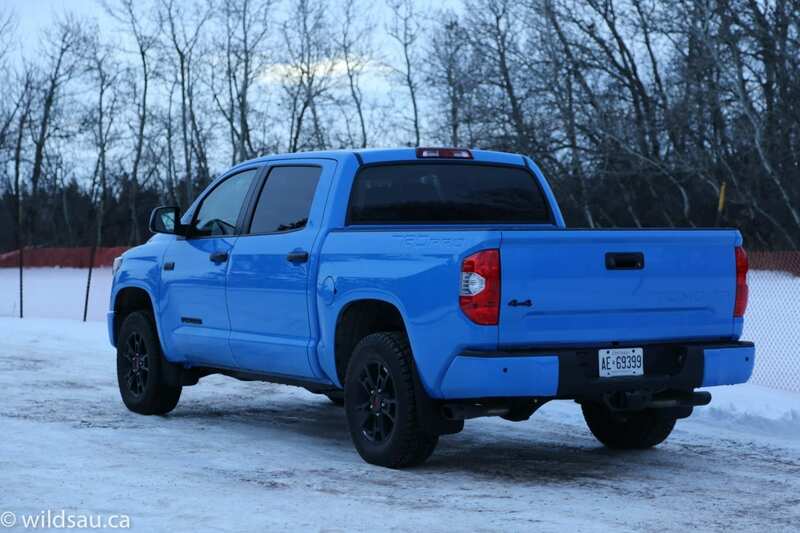 The Tundra – a great truck that is stuck in the past. If you’re expecting something new, I’m sorry to report that you won’t find it here. Basically, short of small, incremental changes, the Tundra marches on much as it has for a number of years. If you’ve seen a new Tundra on the road since 2007, it’s been basically the same thing. Yes, for over a decade. Even the biggest model refreshes in 2010 and 2014 only brought about minor changes on the outside, and a full interior re-do. Over the course of 11 years, it has been altered – but basically, much of it remains the same. The price of this option package nets it its own section. For clarity’s sake, I did not take this truck off-roading other than plowing through some decent snowdrifts. But its intention is to take on the path less traveled. 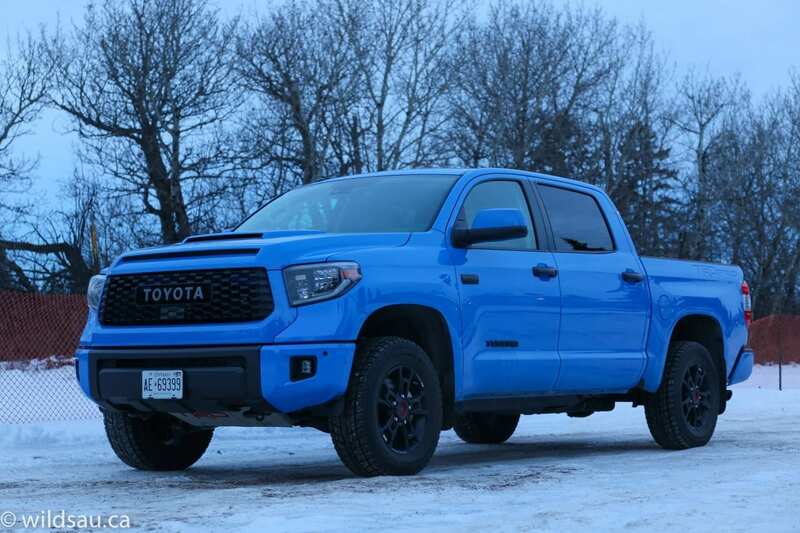 I’m really not sure how many serious off-roaders opt for full-size trucks for that mission, but I think the amount of TRD Pro Tundras that will be ordered will be few, and the number of those that will actually tackle some truly fierce terrain will be much, much fewer. 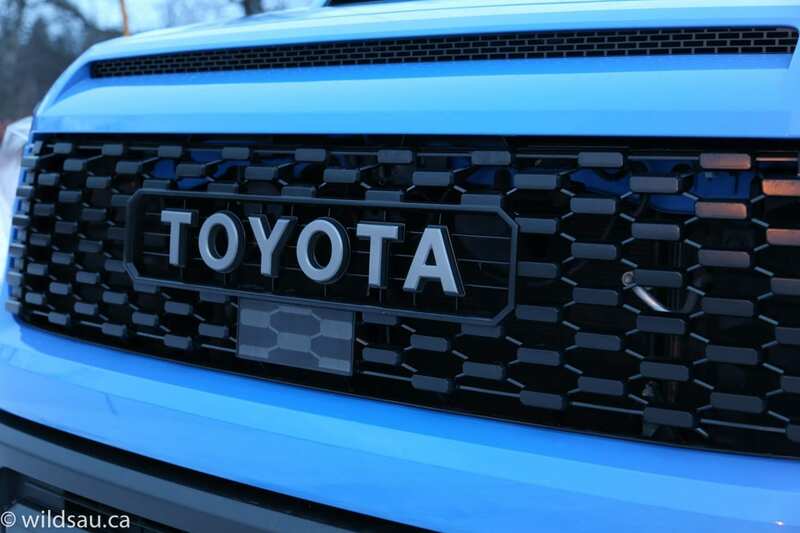 However, Toyota appears to have done what they can to offer a fairly capable off-road truck from the factory. 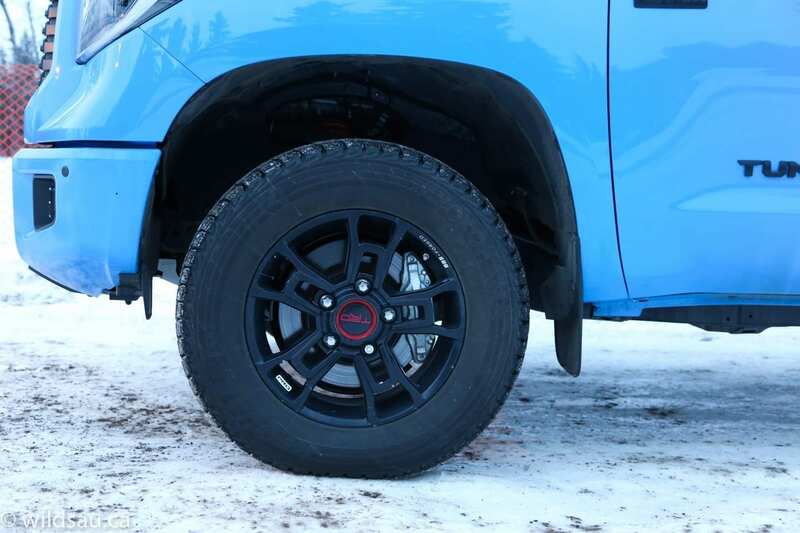 The package nets you a branded front skid plate and fuel tank protector plates, a TRD suspension set-up with remote reservoir Fox shocks, big honkin’ 275/65 off-road tires mounted on gnarly black forged 18-inch BBS wheels. 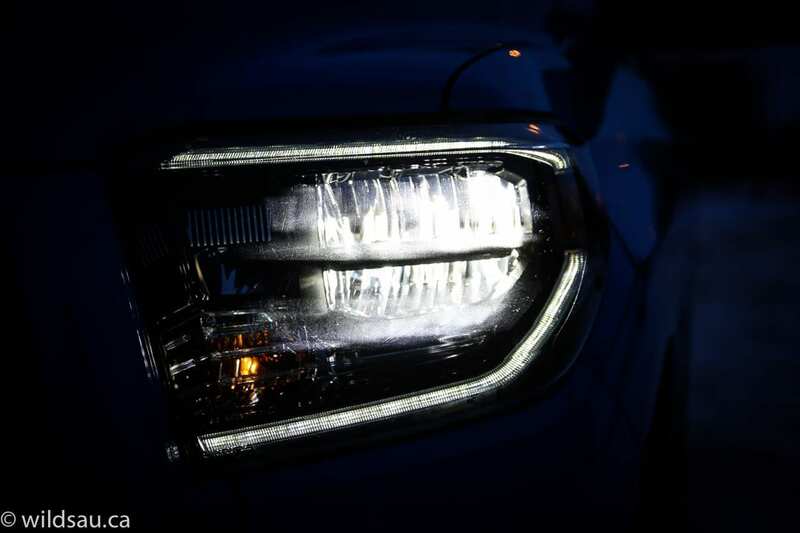 There’s also a performance exhaust system and Rigid Industries LED foglights. 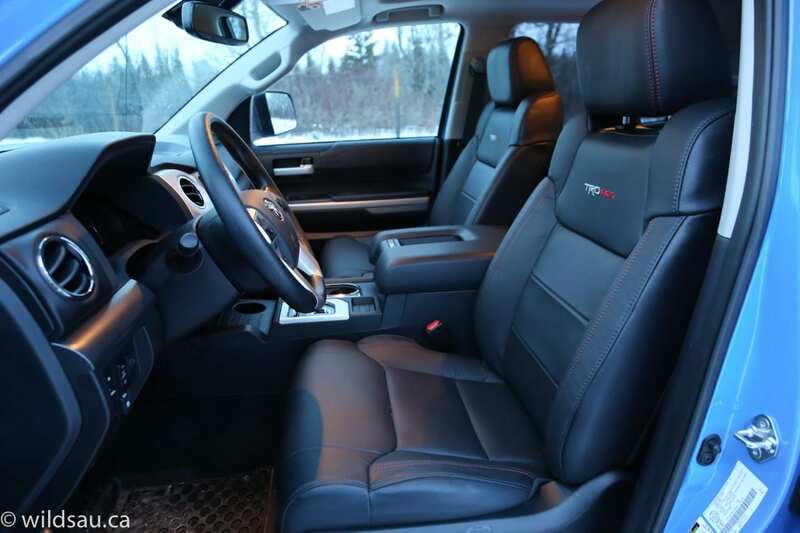 You also get premium navigation, blind-spot monitoring, heated black leather seats, branded floor mats, a power sliding rear window (it slides down for a completely open rear window experience), front and rear parking sensors, a standard sunroof, exterior badging and a special grille. 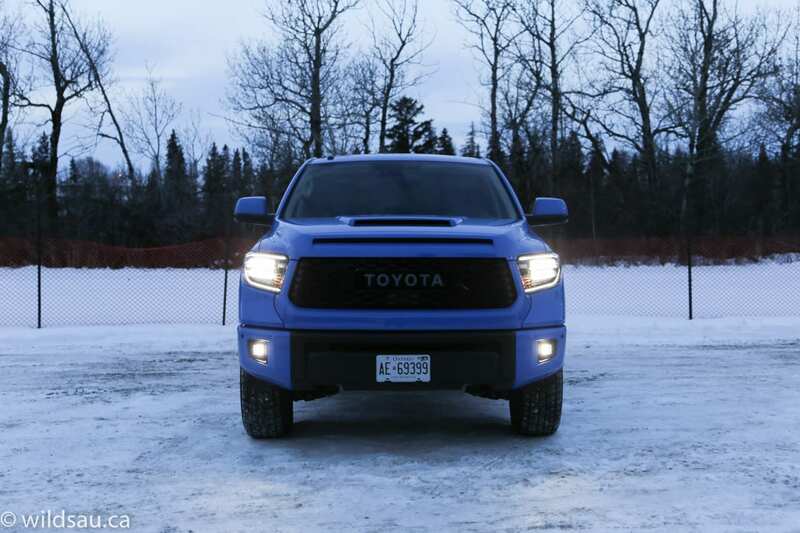 So while this Tundra, in many ways, would be indistinguishable from others, it does benefit visually from the TRD Pro option. 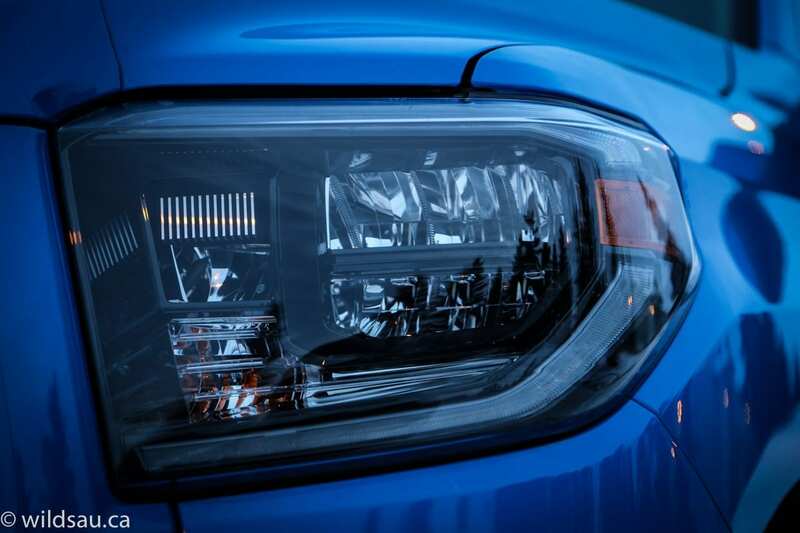 Well, I’d say first and foremost it benefits from the Voodoo Blue colour which gets a lot of attention. The special blacked out grille and badges look awesome and those black wheels look great too. But otherwise, it’s same old, same old. 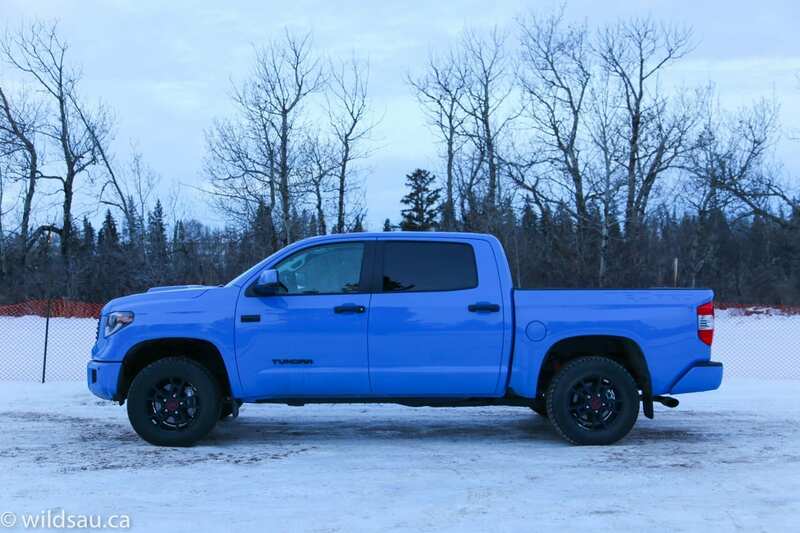 Not that there’s anything wrong with it – the Tundra has aged nicely and is still a handsome truck. Sorry, did I mentioned that nothing has really changed with the Tundra? Yes, that goes for the interior too. It’s still the acres of hard plastic, with a couple of upholstered bits on the door panels and in front of the passenger. 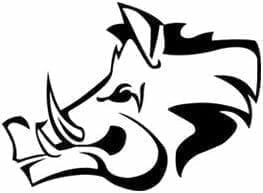 No changes to the layout or design. 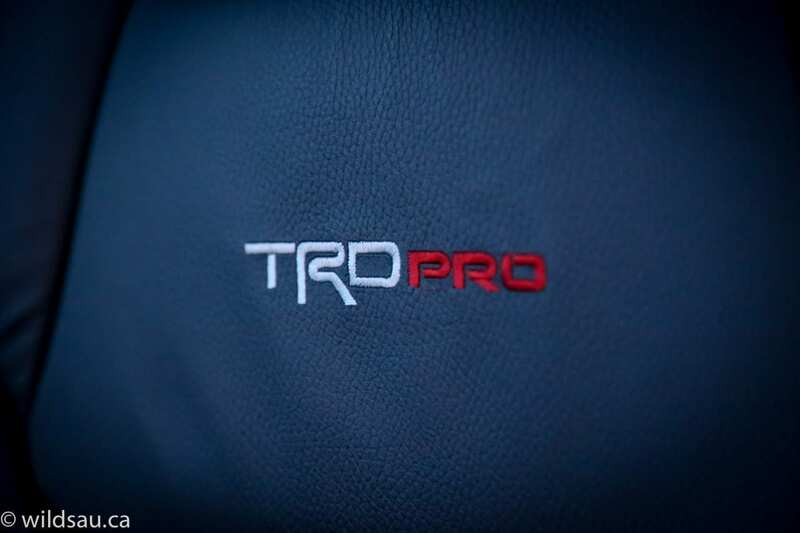 That expensive option package gets you TRD Pro badging on the gear selector and armrest lid and nice red TRD Pro stitching on the seats. Those seats are comfortable and LOOK well bolstered but they would only work as body-hugging off-road ready seats for really, really large passengers. I’m talking XXXL-sized folks. Otherwise you will still be sliding around in these rather generously-sized thrones. 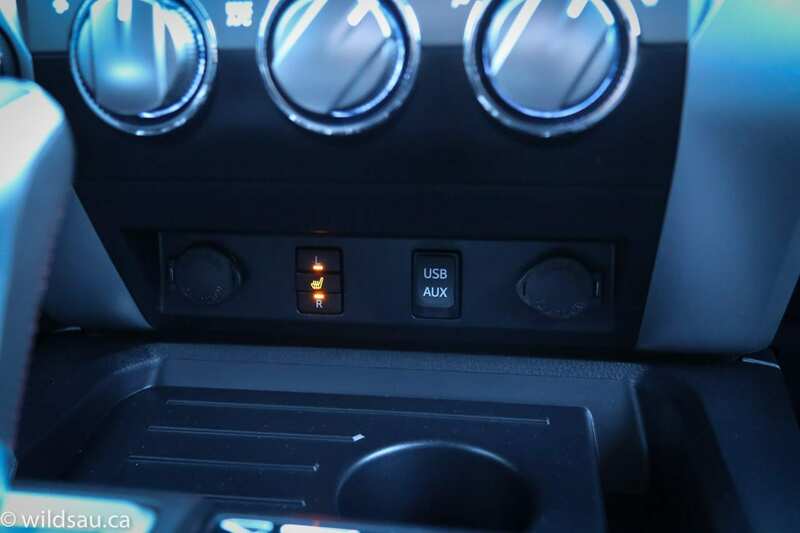 Oh and if you want to turn on the seat heaters (they only have on and off, not multiple heat levels), you’ll need to reach for the hidden switch under a lip at the bottom of the centre stack. Hilariously awful from an ergonomic point of view, and also because there is about a hectare of dash space where those switches could be located instead of where they are. Of course, for this price you’d expect all the modern conveniences that we’ve taken for granted for a couple of decades like automatic climate control, a push-start ignition, auto-down windows, etc. It’s just that you won’t get those here. Nope. 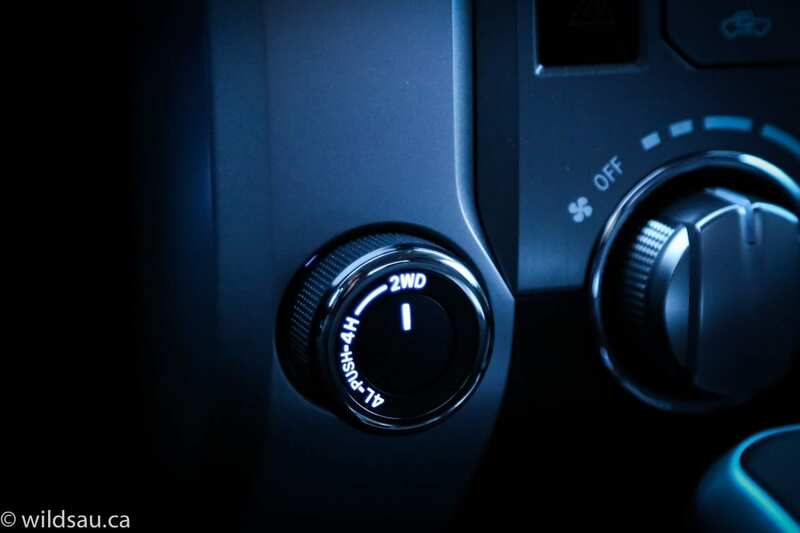 Manual climate control. Fire it up with a key. A real metal key. Only the driver’s side window is auto-down, and none of them are auto-lifting. 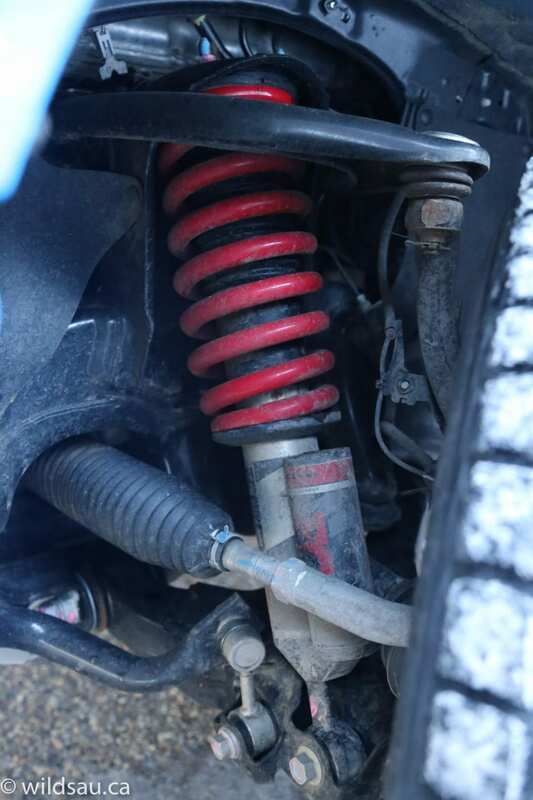 Even after a week in this truck, I couldn’t get over the fact that many of these things that you’ll now find on almost base vehicles are missing in this $66,000 truck. 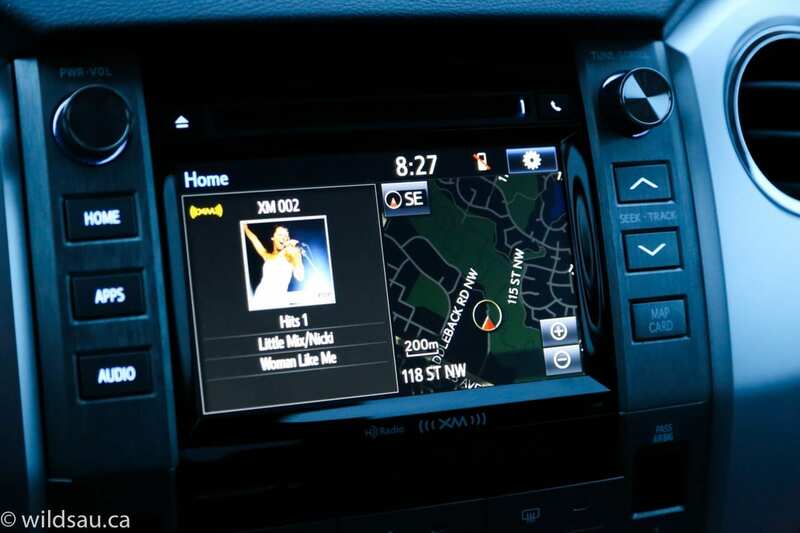 You do, however, get some driver assistance technology – lane departure alert, pre-collision system with pedestrian detection and adaptive cruise control. Again, nothing new here. 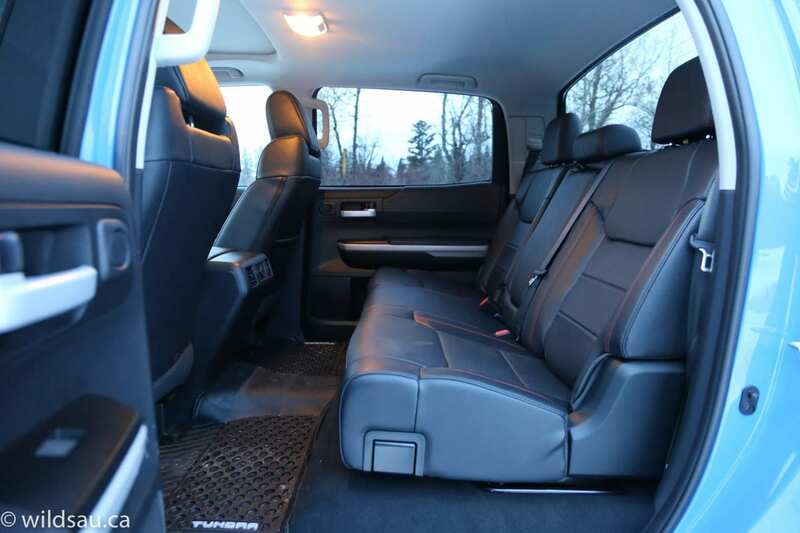 It’s a gargantuan space, with comfortable seats and tons of head and leg room for rear passengers. They also get a 12V plug for charging devices, which was nifty a decade ago. No USB plugs to be found. Other manufacturers have had USBs for years, and several have moved on to the newer USB-C ports. Of course it’s a roomy cabin, with plenty of space for your stuff inside the console (there’s a huge bin under the armrest lid) and glove box. 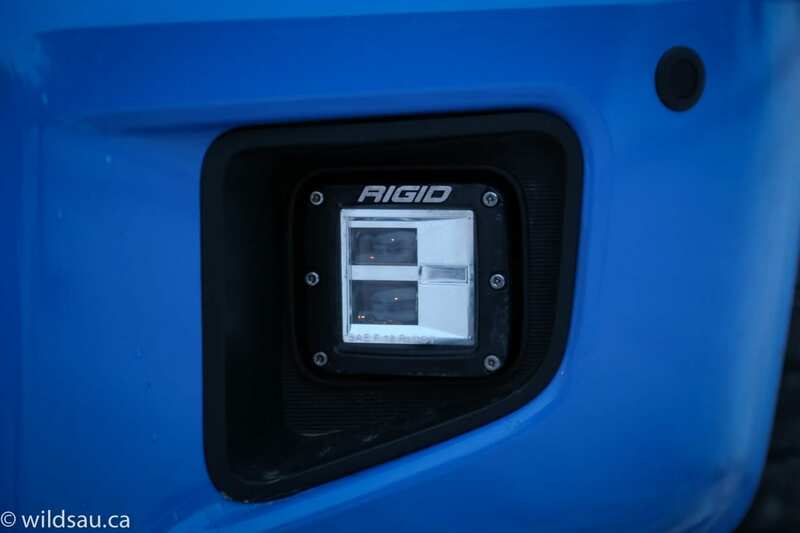 There’s a hard plastic area at the front of the console where you’ll also find two 12V plugs, an auxiliary port and a USB plug, as well as a cupholder – which is probably the best place you can put your phone in this truck if you want it to stay in one place. 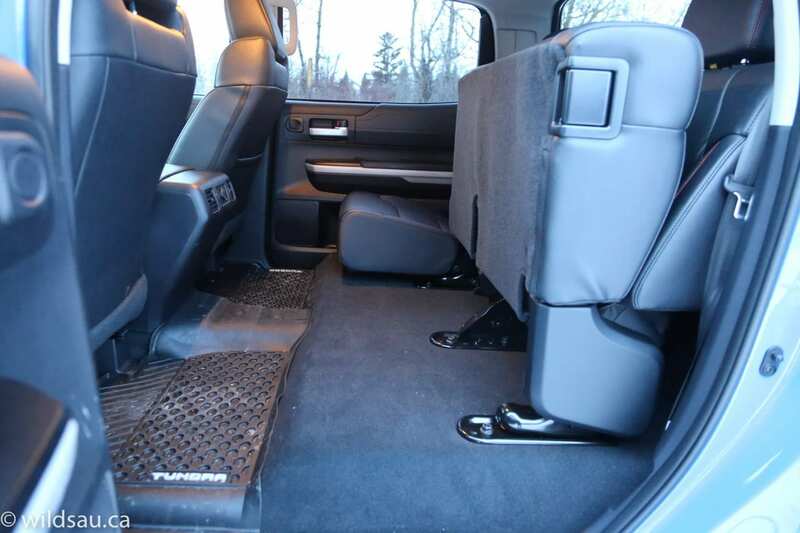 The rear seats split 60/40, and the bottom seat cushions fold up, making a massive cargo space available should you need to move stuff inside the cab of the truck. 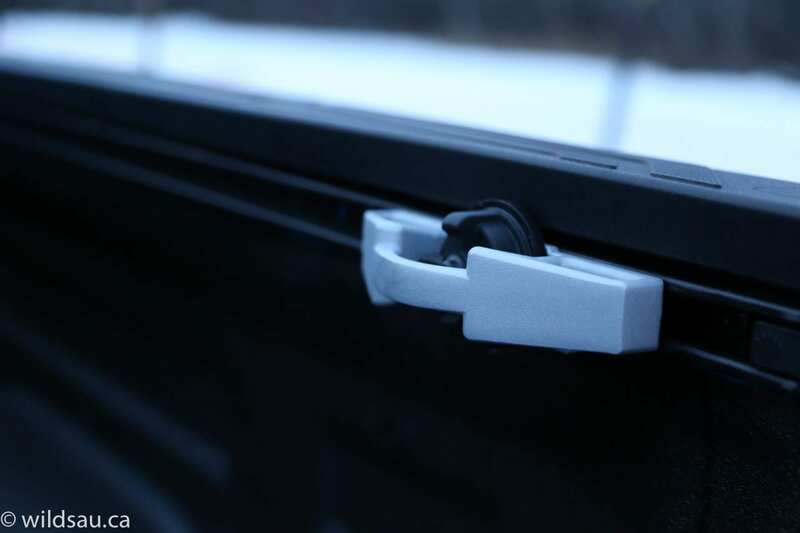 Of course there’s the 67″ truck box, which features a set of handy adjustable rail-mounted tie-downs. 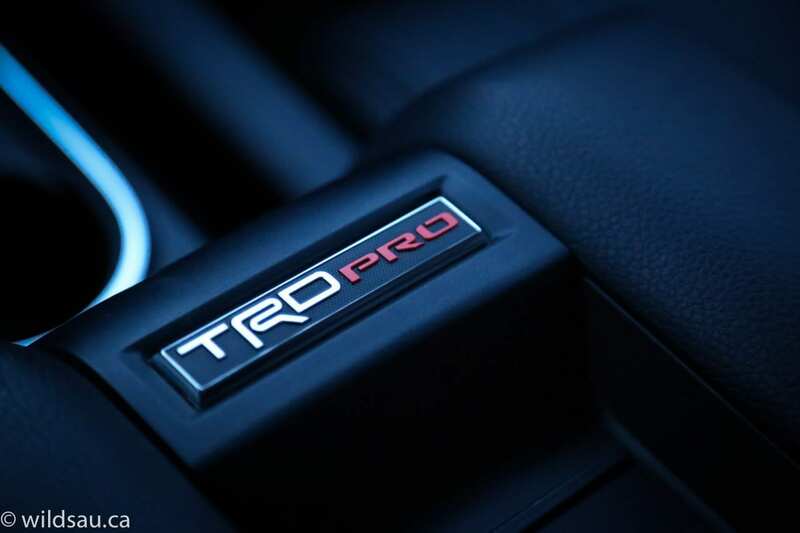 And TRD stamping, in case you forgot about your option package. Let’s see – anything new here? Nope. Same engine too. A stout 5.7L V8 that churns out 381HP and 401 lb.ft of torque. 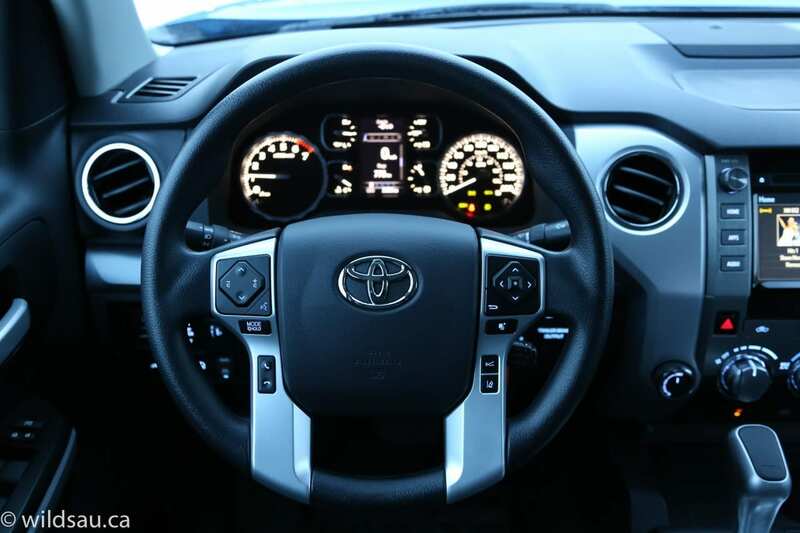 The 6-speed automatic transmission and the electronic 4×4 system are unchanged. That kind of power doesn’t come cheaply. Toyota rates this truck at 18/14.1 L/100 km (city/highway) and we averaged higher than 18 after a week of taking it pretty easy on the truck. Thank goodness for the 144L tank then. 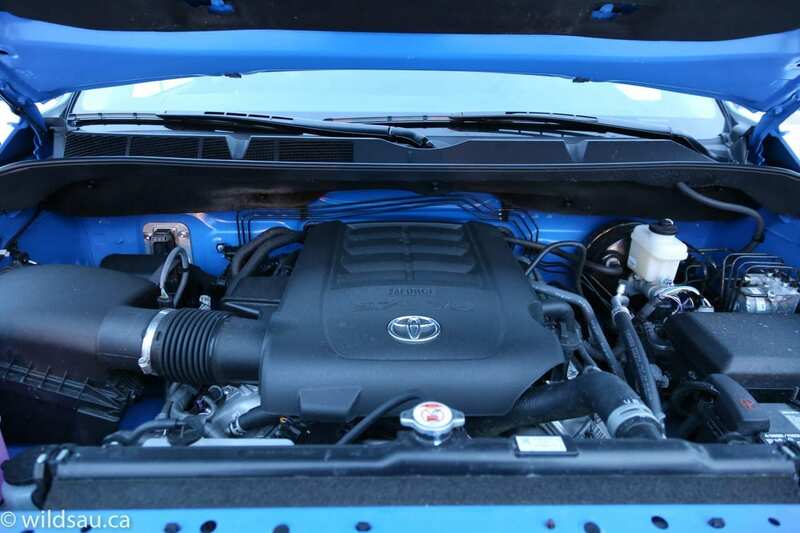 I’ve always been a fan of the Tundra powertrain. 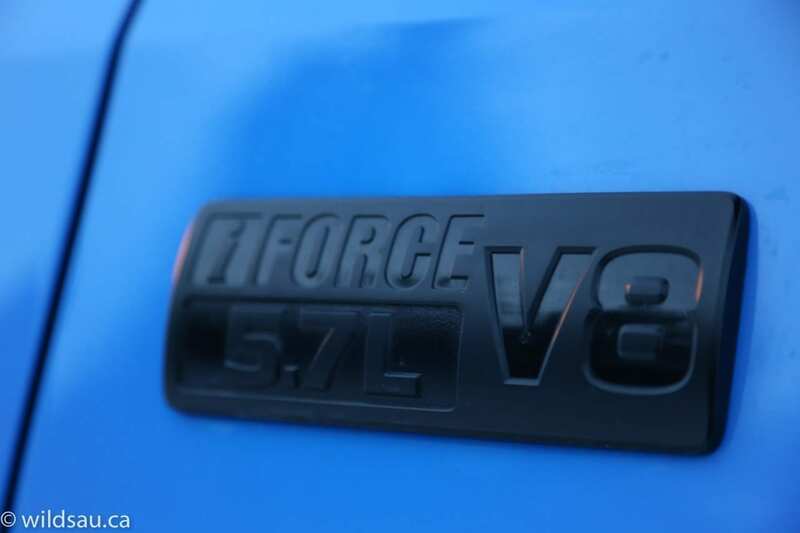 It’s a good old-fashioned V8 and it’s very responsive and powerful. No complaints at all. 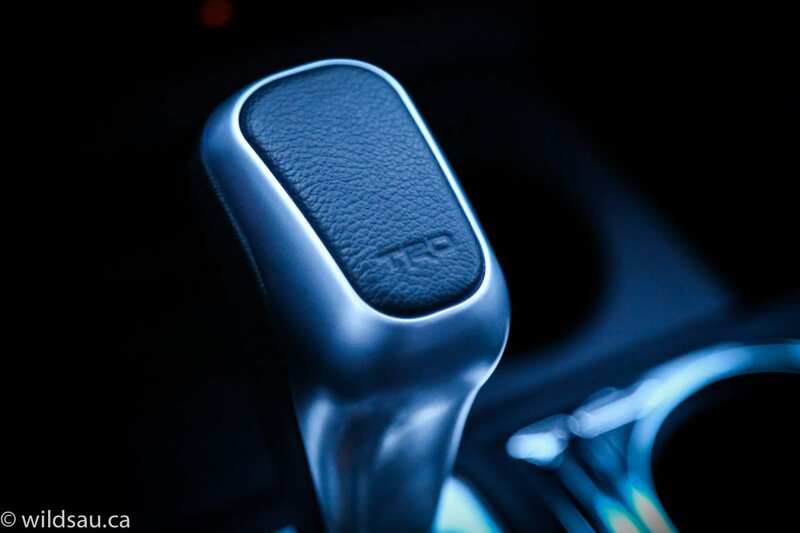 The transmission is smooth and efficient. 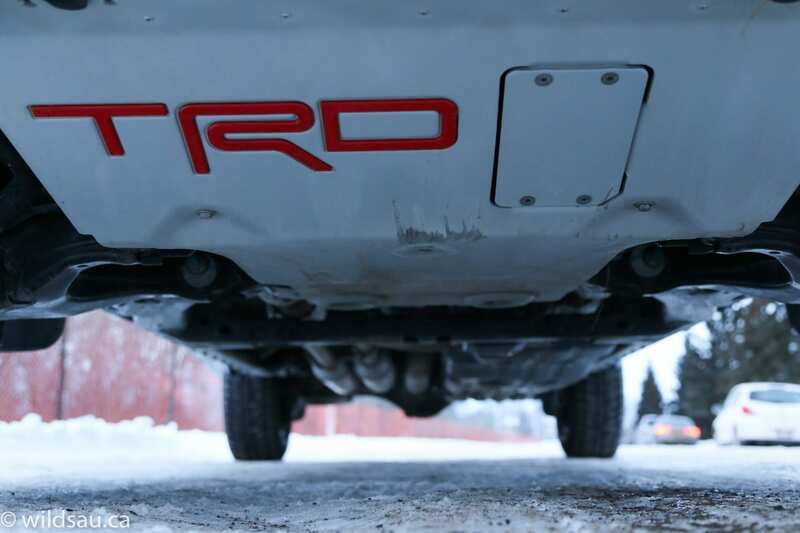 That TRD Pro exhaust isn’t just for show (although the blacked-out dual oval exhaust tips look very cool) – it sounds absolutely fantastic. Exactly the way a nasty V8 should sound. 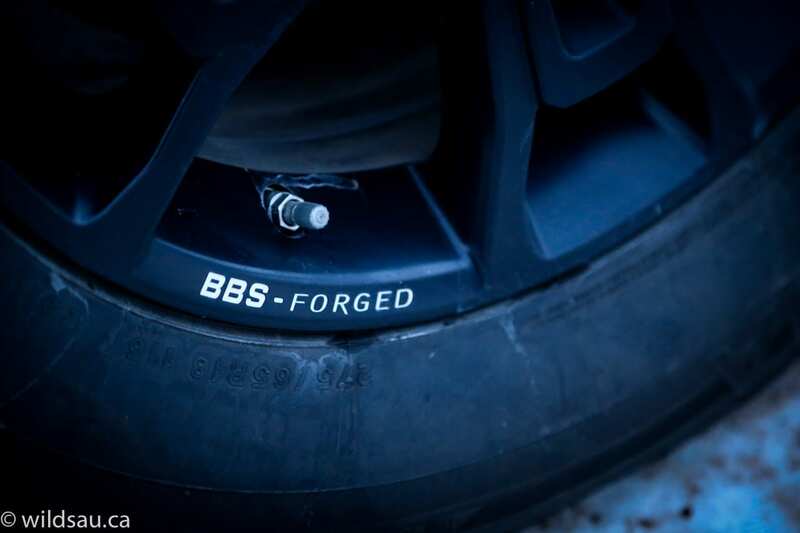 With that said, it’s very loud and tends to drone at a certain RPM (at highway speeds), and as much as I loved stepping on it to hear the rumble, I think living with this exhaust would become tiresome for myself and for my neighbours. 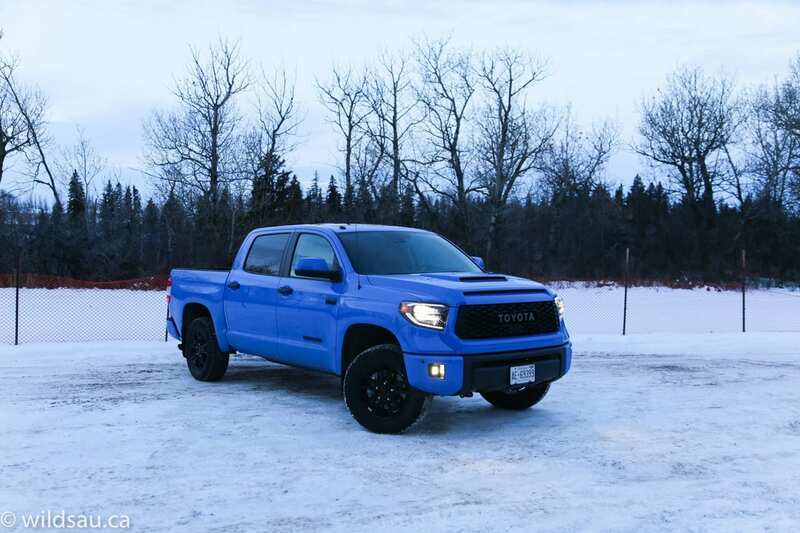 The Tundra has always had a stellar ride for a full-size truck – unfortunately the TRD Pro package’s suspension upgrades call for a compromise here. The ride is noticeably firmer and more jittery. I also have to say that the Tundra has its handling figured out – at least for a full-size truck. It’s very competent and predictable on the road. 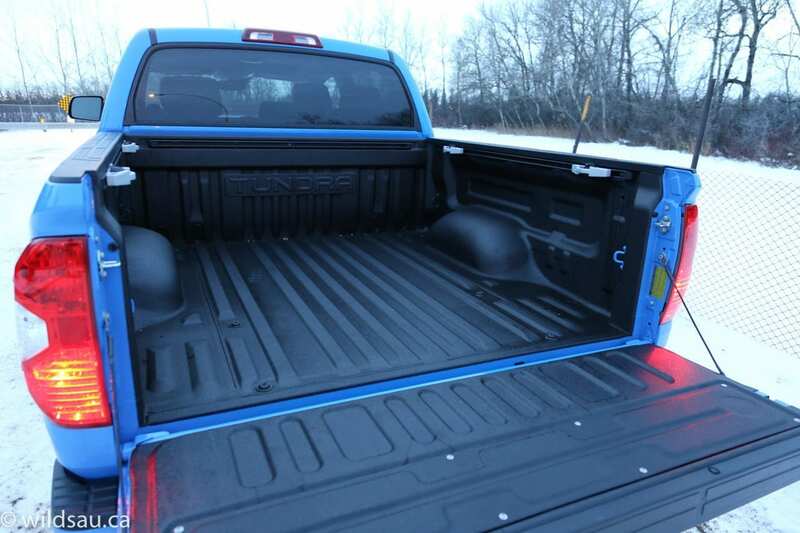 The size of the Tundra makes it a handful to park – that’s not unusual for a full-size truck. But to not have power-folding mirrors, particularly at this price, is unacceptable. And just downright weird. Towing is no problem. 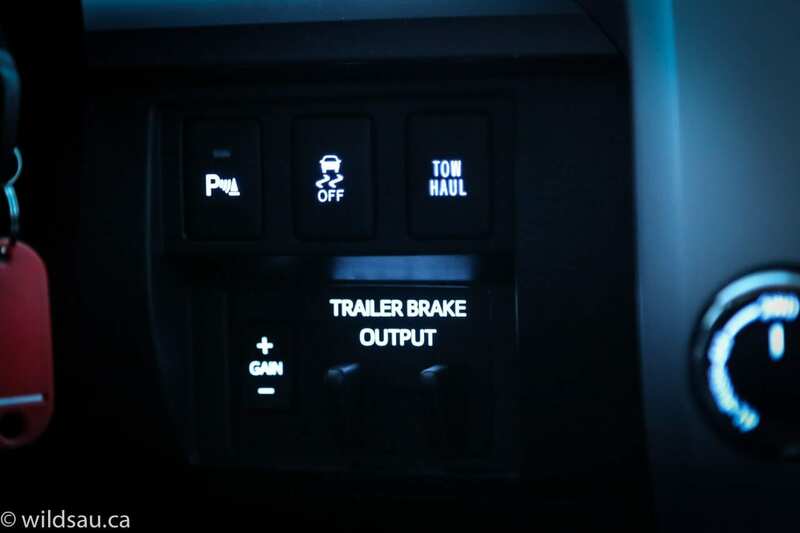 There’s a trailer braking control, a tow/haul mode and a 9,200 lb (4,173 kg) towing capacity. WAF (Wife Approval Factor) was low. 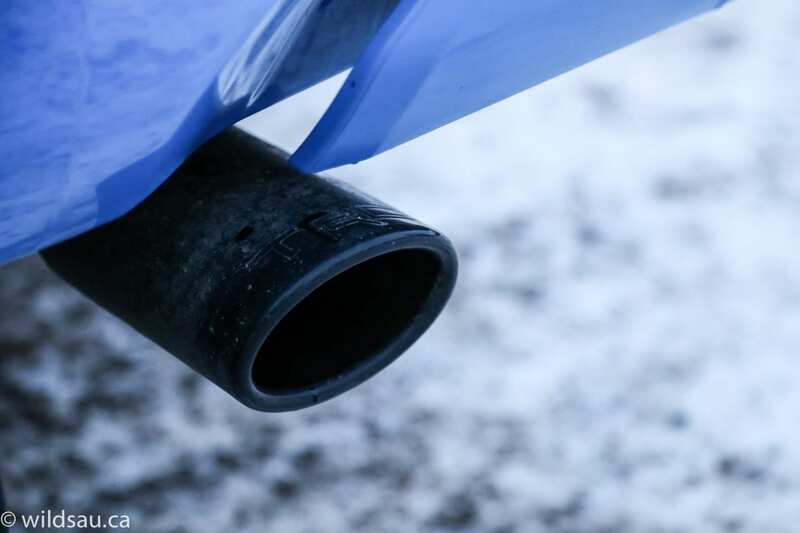 She thought the same about both the colour and the exhaust – too loud and completely obnoxious. Haha! She said it felt dated inside and it mostly came across as an older truck. Very insightful! 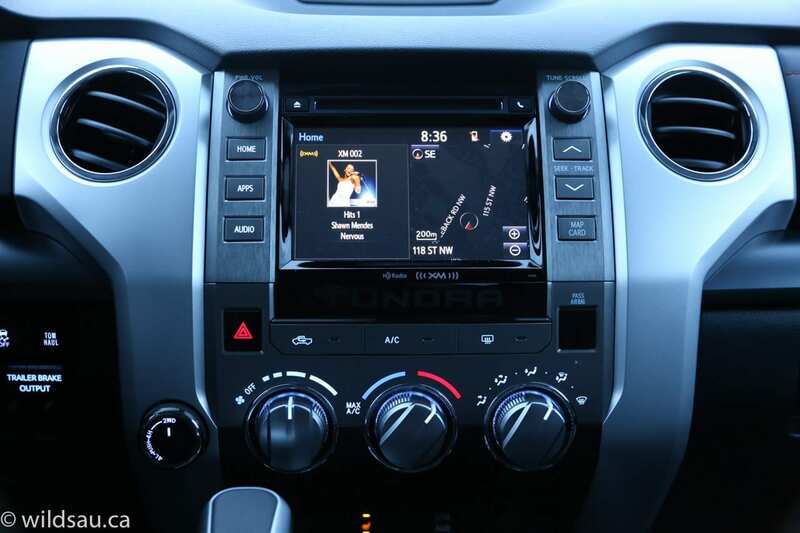 While I pooh-pooh the Tundra’s longevity and reluctance to modernize in almost every way, and it feels completely uncompetitive on many fronts, it also has its strengths. It has a very good reliability record, and its resale values top all the competitors. And it actually does its job as a truck well. But if you want something that looks and feels like it was designed in this decade and offers modern tech and features, you’ll need to look elsewhere. The Tundra remains firmly in the past until Toyota grudgingly gives it another nod for a refresh, or dare we say it – an all-new Tundra some day?